Ryan Tannehill, the Miami Dolphins quarterback, could miss serious time after a non-contact injury in today’s practice. Here is the video. 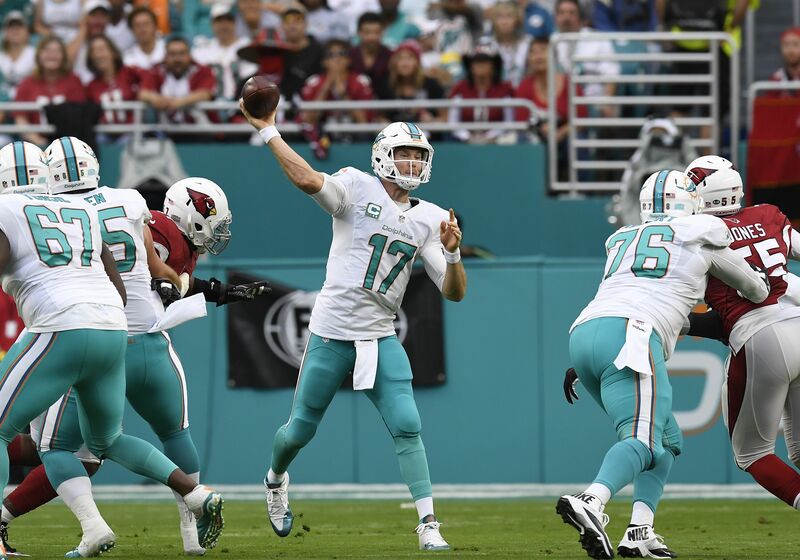 Thursday morning, Miami Dolphins quarterback Ryan Tannehill walked gingerly to the locker room after a non-contact injury suffered in practice. Video of this injury has now become available. In scrambling out of the pocket to avoid pressure, Tannehill takes off downfield before falling when reaching the sideline without being touched. At the end of last season, Tannehill missed three games, including the team’s playoff game with a left knee injury. This was eventually diagnosed as a grade three (partial) ACL tear. However, no surgery was done at the time. The previous injury was treated with an injection of stem cells into the damaged area. In the above video, you can see that he falls precariously on what looks like his left leg. This was the same knee that was previously injured. There was much excitement surrounding Tannehill going into this season. In his second year with offensive guru Adam Gase, this could have been — and still could be — a significant year in the career of Tannehill. Other such quarterback and expert offensive coach duos (see Matt Ryan and Kyle Shanahan last season) have recently make the leap in their second year together. Miami is situated with one of the best backup quarterbacks in the league in Matt Moore. However, no injury to a starting quarterback comes without a step backward. Ultimately, there’s no way to know what to expect from Tannehill, or the Dolphins for that matter, at this point. Currently there is no information of how severe the injury is, or even if it is related to the injury sustained last season. Any noise to this point is purely speculation. More on Tannehill’s injuries will come as information is released from Dolphins camp.